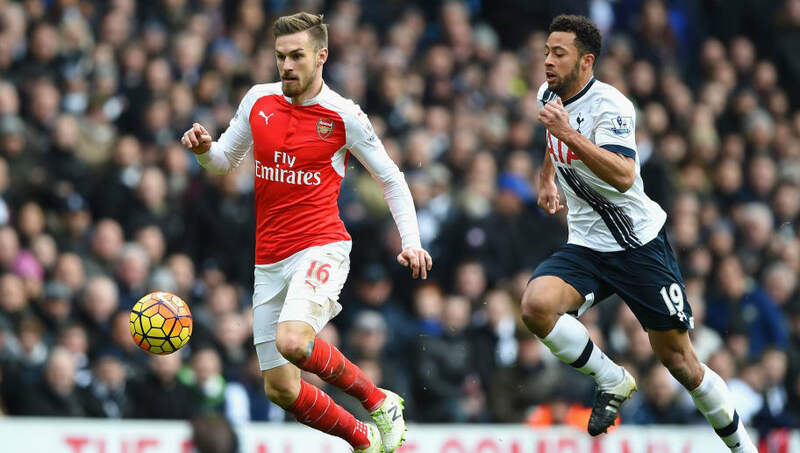 ​Serie A side Juventus are believed to be eyeing a raid on the ​Premier League's top talents in the summer transfer window, with Arsenal's Aaron Ramsey and Spurs' Mousa Dembele among their targets. As reported by Italian outlet Calcio Mercato, the Turin side will look to first bring ​Liverpool's Emre Can in on his long rumoured free transfer, before turning their attention to either Ramsey, Dembele or Paris Saint-Germain star Adrien Rabiot. ​Juventus are currently on course to win their seventh league title on the trot, but are eager to freshen up their midfield options in the summer. Ramsey's contract is set to expire at the end of next season, and ​Arsenal could well look to cash in on the Welsh sensation to avoid the risk of seeing him eventually leave on a free transfer. Meanwhile, Dembele has been starved of first team football at Spurs for a while, and will be eager to kick start his career again after spending much of his time on the subs bench. Juventus will certainly look to spend big in the summer, with the competition in ​Serie A becoming increasingly fierce. ​Napoli has pushed I Bianconeri close this season, but the southern side's slip up in their 0-0 draw with ​AC Milan on Sunday afternoon could have proved costly, as Maxi Allegri's team could now move six points clear with a win over Sampdoria. In other news, ​Allegri is rumoured to have taken up English lessons ahead of a move away from Juve, with ​Chelsea believed to be his chosen destination. The 50-year-old replaced Antonio Conte when he took over his current job, and could do so again if the Blues choose to part company with the former Italian international manager.